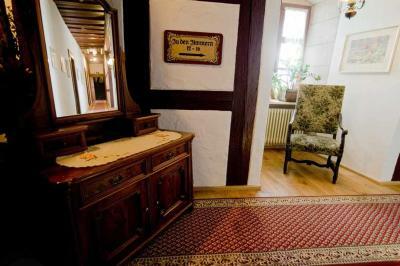 Lock in a great price for Burg Colmberg Hotel – rated 8.9 by recent guests! Great experience! 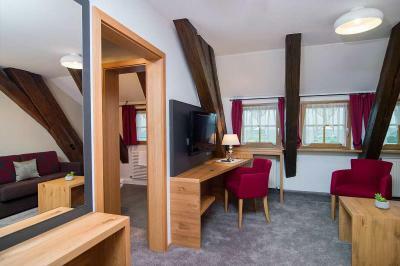 Rooms are brand new and very modern so you can enjoy the best of both worlds. 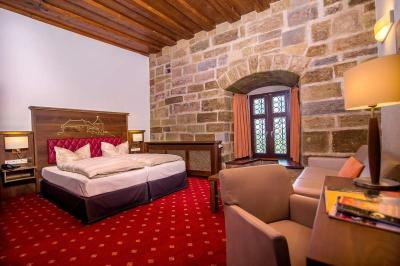 Stay in a 13th century castle and enjoy a 21st century luxury hotel and quiet room. The entire experience was wonderful! Excellent staff! 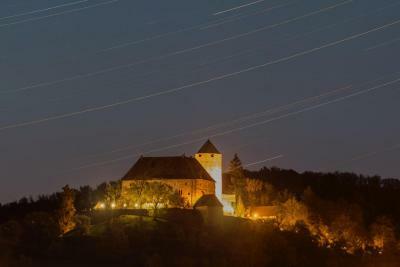 The view was simply fantastic—it looked like a painting in the morning and at night the stars were very visible. Also served very tasty beer called the Dark Night—great for those that like dark beer. Great Hotel. Staff were very friendly, and very helpful. Room was very large and bed was very comfortable. Great breakfest. 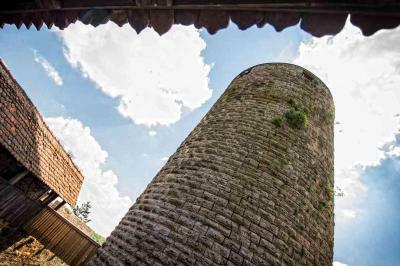 A thousand year old castle with innumerable objects and corners to explore. 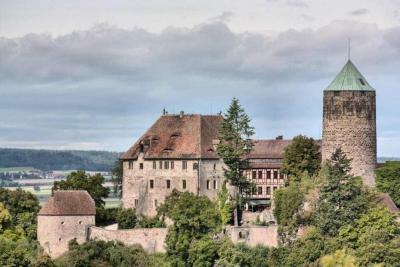 And awesome views of the castle and looking out from the castle. Jet tub. Amazing food. Stay here! The location of this hotel is unbelievable. 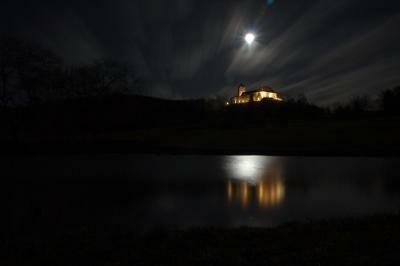 While out in the country, there's suddenly a castle on top of the hill and that's where you'll be staying the night. As you wind you way up the hill you are on a narrower road and then through the gates and along the ramparts you go until you reach the final portal. You can picture knights of old coming up to visit their leader. 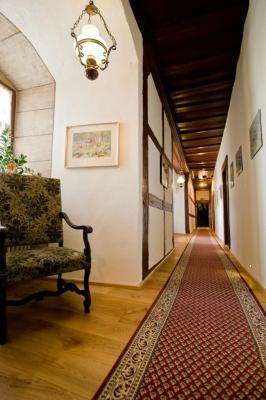 The lobby is filled with old relics of ancient times, but tucked away is a modern elevator so you don't have to hoist your bags up 4 floors to your room. 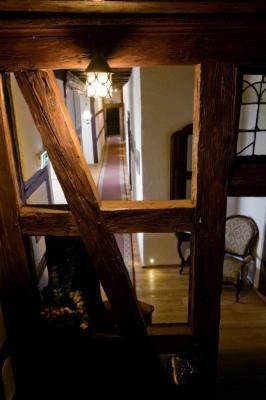 Rooms are (as expected) not large, and have wooden beams in them you have to be cautious about, you forget about them when you look out and see the fields below you. What a charming hotel. Such character, it was right out of a movie. The staff and owners were very friendly. Close to Rothenborg. The deer park was a nice addition. Breakfast buffet was terrific. Amazing structure. Loved being in a castle. Restaurant was nice and breakfast was great. 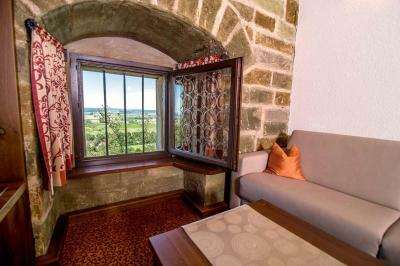 This family-run hotel in the medieval town of Colmberg offers traditional yet elegant rooms and a charming restaurant within a historic castle dating back over 1000 years. Free Wi-Fi is available for free. 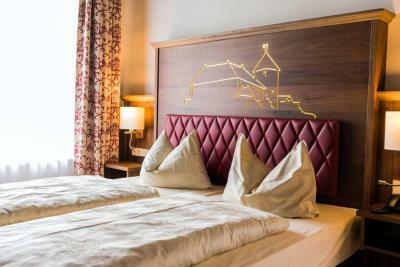 As a guest at the Burg Colmberg Hotel, you can look forward to tastefully furnished rooms equipped with a range of modern amenities, and a complimentary breakfast buffet each morning. 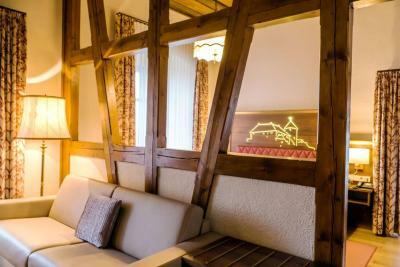 The Burg Colmberg Hotel's restaurant serves delicious Franconian cuisine and tasty game dishes amid a welcoming atmosphere. 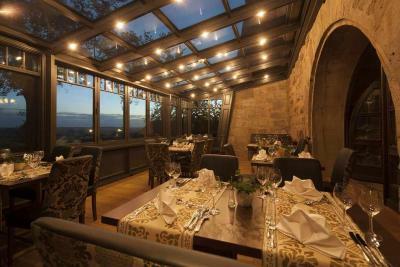 In summer months, meals can be enjoyed on the delightful terrace. 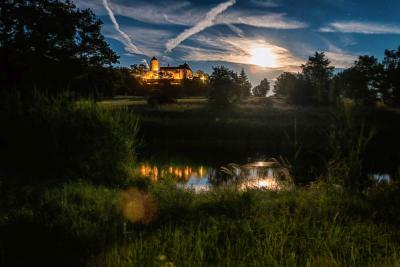 Located in the heart of the scenic Frankenhöhe nature reserve, the Burg Colmberg Hotel is an ideal starting point for hiking and cycling tours. 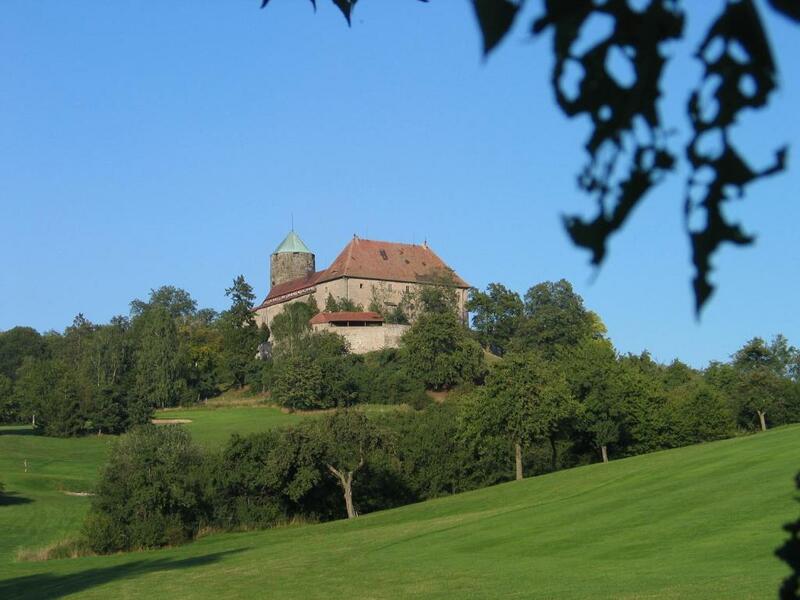 The Jakobsweg and Wasserscheideweg hiking trails are all close by as is the Altmühltalradweg bike route. A bicycle and motorbike garage is available at the hotel. 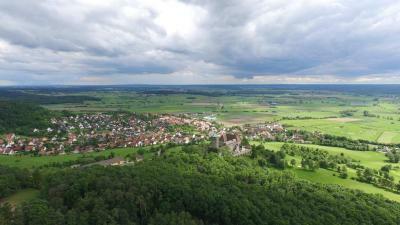 This property also has one of the top-rated locations in Colmberg! Guests are happier about it compared to other properties in the area. 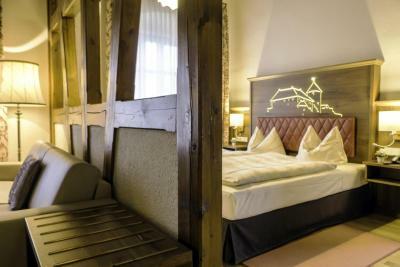 When would you like to stay at Burg Colmberg Hotel? 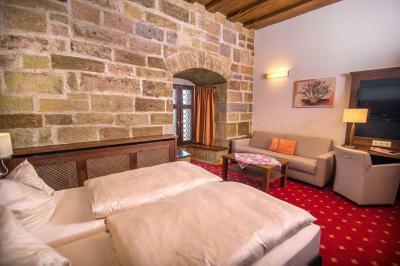 This cozy double room features views of the courtyard and Colmberg town center. Please see the Hotel Policies for the price for extra guests and children. 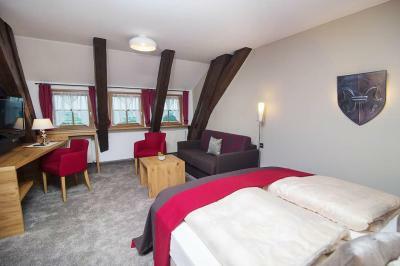 This spacious and modern room has a large double bed and a hot tub. 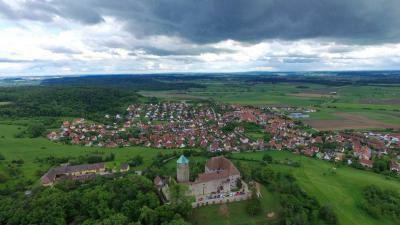 It features views of either the Franconian countryside or Colmberg town center. Please see the Hotel Policies for the price for children. 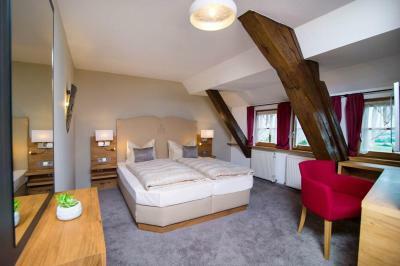 This particularly spacious double room features a historic handmade bed, and lovely views of the golf course and the Altmühl. 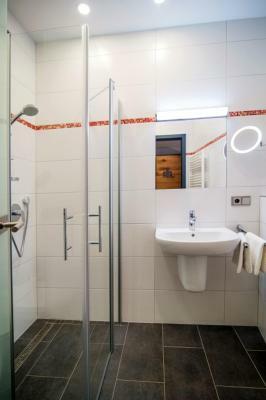 This is a modern double room for single use. 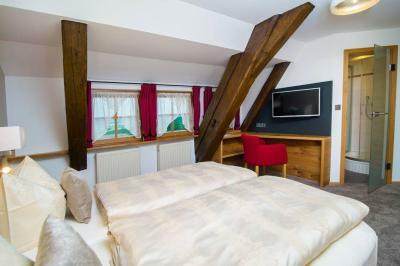 This particularly spacious double room features a separate living area, and offers views of Colmberg town center and the Franconian countryside. 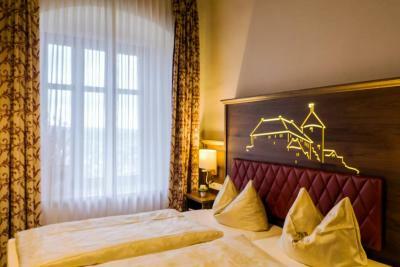 This spacious and elegant honeymoon room features Baroque-style furnishings and wonderful views of the valley and the Altmühl. 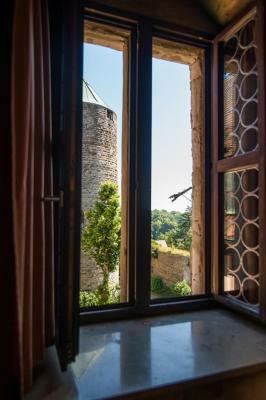 This modern double room offers views of the courtyard. 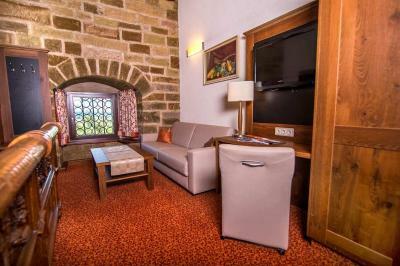 Some of the rooms feature views of the center of town. 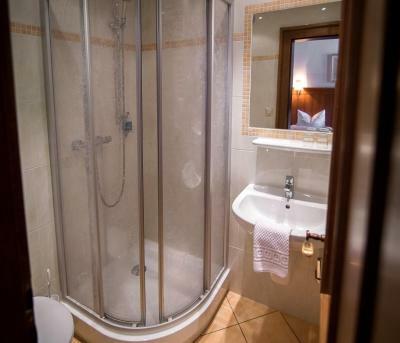 Bright double room offering satellite TV and a private bathroom. 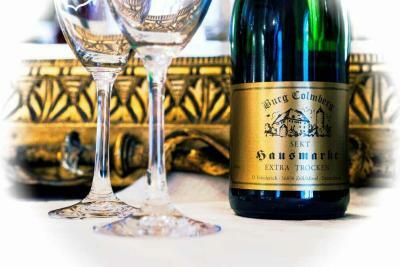 House Rules Burg Colmberg Hotel takes special requests – add in the next step! All children under 12 years are charged EUR 22 per night for extra beds. 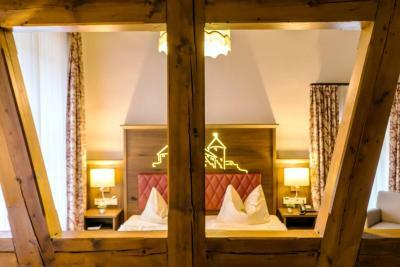 Any additional older children or adults are charged EUR 44 per night for extra beds. 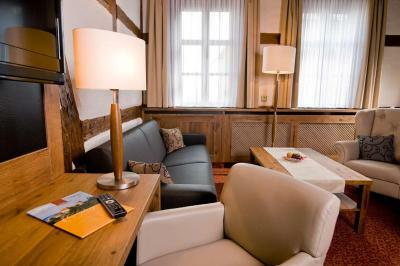 Burg Colmberg Hotel accepts these cards and reserves the right to temporarily hold an amount prior to arrival. 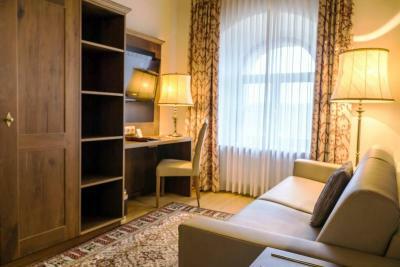 Guests who plan to arrive after 9 pm must contact the hotel in advance to confirm that they can check-in after this time. The most beautiful castle experience. 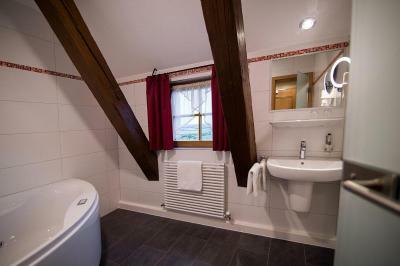 The views were breathtaking and the rooms, although small were restored beautifully with modern amenities. The restaurant served delicious food and our night included breakfast. Highly recommended! Unfortunately there was a large family group in the dining room both dinner and breakfast so we were u able to eat in the atrium with the view. Suggest the functions be held inside and allow guests the peace of outside in the atrium as the children were running in and out the whole time and up and down corridor and elevators. Great views from room. Friendly staff. Very clean. 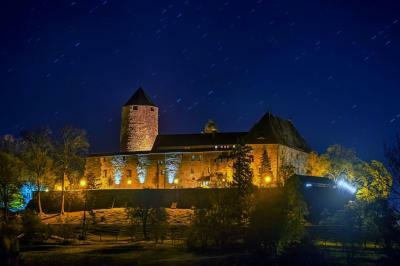 Wonderful atmosphere in a beautiful castle. 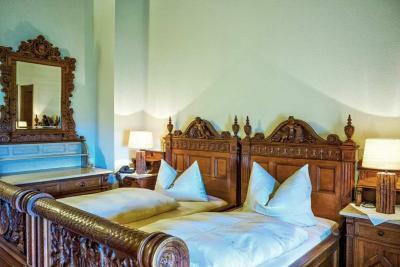 Room was great, with antique beds. Recommended! 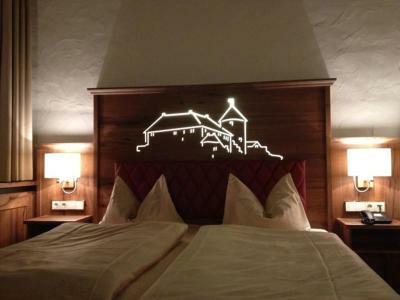 Staying in a castle is awesome. 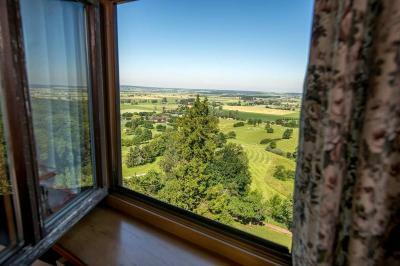 Overlooks the local village and farm lands. Visited in January so most indoor activities for kids were limited and required a drive of 20-60 minutes to reach Rothenburg or Nuremberg. We were prepared for this and planned accordingly so no unpleasant surprises for our stay, just a good to know thing. 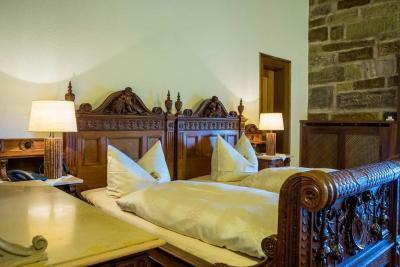 Very friendly staff, family atmosphere, quality restaurant and unique experience to stay in a castle. English speaking staff, plenty of parking, modern bathrooms, comfortable beds, all appreciated by tired travelers! Wonderful place. Very comfortable big rooms. Lots of little cosy spots to relax and read. Fantastic food. 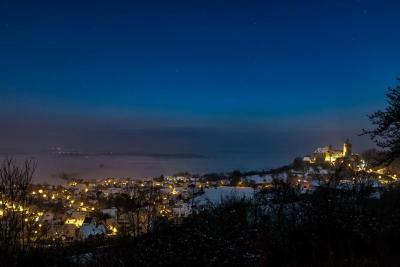 We were there for Christmas but for New Year they have a party and fireworks. There is a lift, but there are still several small flights of stairs after that that we have to climb to get to our room. Not convenient if it is a weekend--we took a taxi there and back as it was a weekend and the bus to the area wasn't running. Better to drive. Too few staff in the morning to help with getting luggage down stairs. Breakfast was solid and filling. The beds were comfy and we liked the decor. 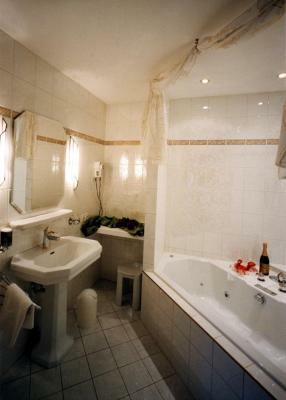 Bathtub with jets was a nice touch. The castle is on a hill and the views are great. There is a park around it where they keep deer. 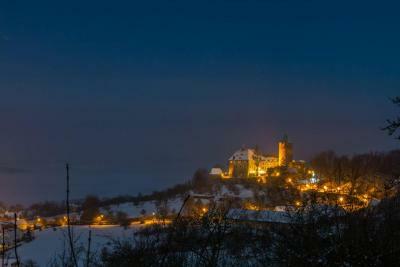 It was snowing when we arrived, so the castle had a very winter/Christmas-like atmosphere. There were rooms near the restaurant with antique furniture that my friend and I looked at after dinner because the style was unique. The hotel restaurant serves a good dinner with local cuisine (if you're okay with eating deer from the preserve just outside). I had the goose breast and it was very good. It was too short, lol. It was beautiful, we were treated like family. The only issue was not being able to drop off guests at the front door . We had to park and take our suitcases with us. Parking was a little difficult, but found a spot, so all good.